Power Plus contains African Birdseye Cayenne and Ginger root. Both cayenne and ginger are circulatory stimulants. 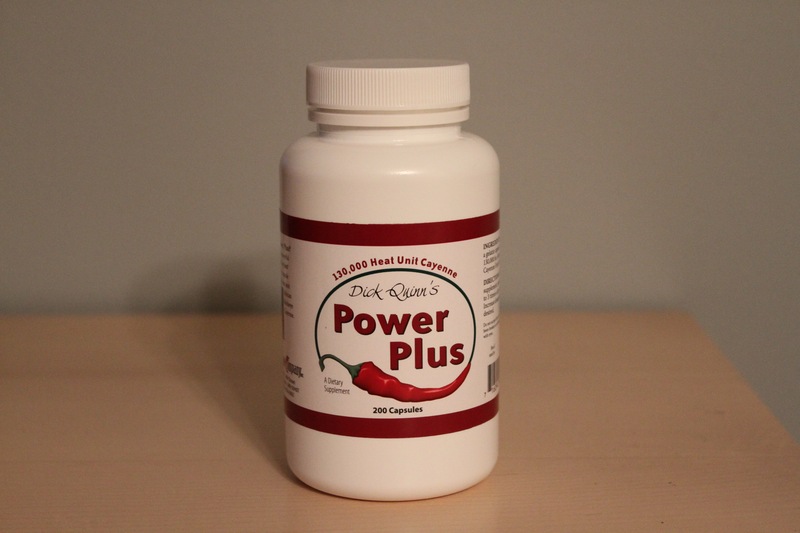 * Power Plus is not recommended for people trying high heat cayenne for the first time. 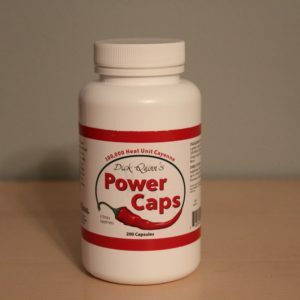 Power Caps (50% cayenne), Heart Food Caps (25% cayenne) or Cayenne Plus (10% cayenne) are better choices. Cayenne and ginger have been used as food for thousands of years. As a dietary supplement, Power Plus should be taken with meals. You can open the capsule and sprinkle directly into soup, chili, salads or tomato juice. Cayenne is a circulation stimulant and a tonic herb that affects many body systems. *This statement has not been evaluated by the FDA and is not intended to diagnose, treat, cure or prevent disease. I have been using this one for many years, I cannot tell you how many people I have recommended to. Try it on cuts on your body. They will heal faster. Yea it will burn but you will see the result. 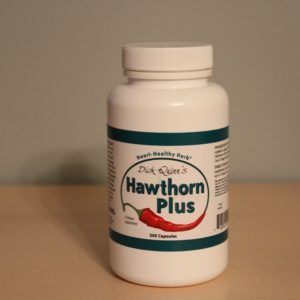 I take a 1/4 teaspoon mixed with water every morning, take two – three cap’s with each meal. One story. I was at the gym and was using an prior elliptical machine when a middle aged man climbed on to the one next to mine. after only 5 minutes he hoped off. I said. “wow, that was short” he said he had lower leg circulation issues and the pain was very heavy. His doc’ had him on blood thinners. My work out was done after 3minutes on the Machine. I started to talk about the benefits of cayenne pepper. got his e mail address and sent him this web site (well the old one) link plus several other links about cayenne pepper. Well, I had not seen this fella for six months. One Saturday morning he was at the gym on the same machine, sweating heavily. He saw me and jumped off, gave me a hug and said. “DT, thank you” I ordered the cap’s and also the bulk 1 pound bag and just after two cap’s with breakfast the first time the pain in my legs started to go way. Now even the doctor cannot believe these. results. 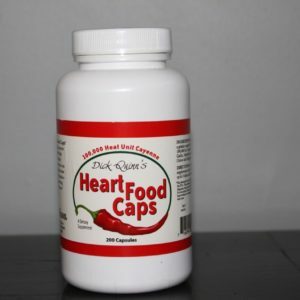 I have a ton of stories from people I have recommended this product …Give it a try don’t be shy about the heat..
Cayenne Company is saving lives! I am a long term very happy use!